“A. Lenowry Gents Hairdresser & Tobacconist”. (It’s now Carina’s Hairdressing, on the main road in Yarram). A rather enigmatic ghost sign on the corner of Ormond Rd and Myrnong Crescent, Ascot Vale, VIC 3032, Australia. I’d like to know what was real good! Post – and the best thing on TV! Ghost sign on the corner of Ormond Rd and Myrnong Crescent, Ascot Vale, VIC 3032, Australia. Moonee Ponds, VIC 3039, Australia. Ghost sign at 467Ascot Vale Road, VIC 3032, Melbourne, Australia. 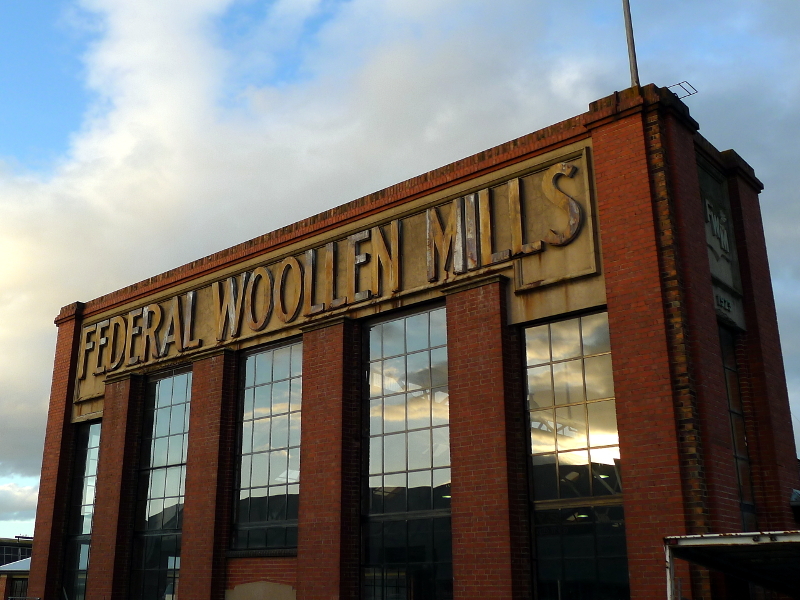 The former Federal Woollen Mills building, 13-35 Mackay Street, North Geelong, VIC 3215.